ROI Aficionados: Go Forth and Multiply Your Conversion Rates. Here is our latest Infographic regarding conversion strategies. One strategy is to create and develop several landing pages according to your overall digital marketing plan. Are you really using your website to the best? Get your website to work for you and convert more visitors into real customers. Depending of the size of your website it may not be sufficient with only one or a few landing pages. What if I told you I could press a button and either a) increase your website’s conversion rate by 0.5% or b) send 2000 visitors per month to your website? Which number would you choose, 0.5 or 2000? Most business owners would take the 2000 visitors and run, and then my question would be, ”Do you know you site’s conversion rate?” Because if it’s low – or for example if it’s zero percent – 1000, 2000 or 10,000 more visitors won’t make a single cent of difference for your bottom line. In digital marketing, a smaller increase of a critical metric can have a more meaningful impact on your business. 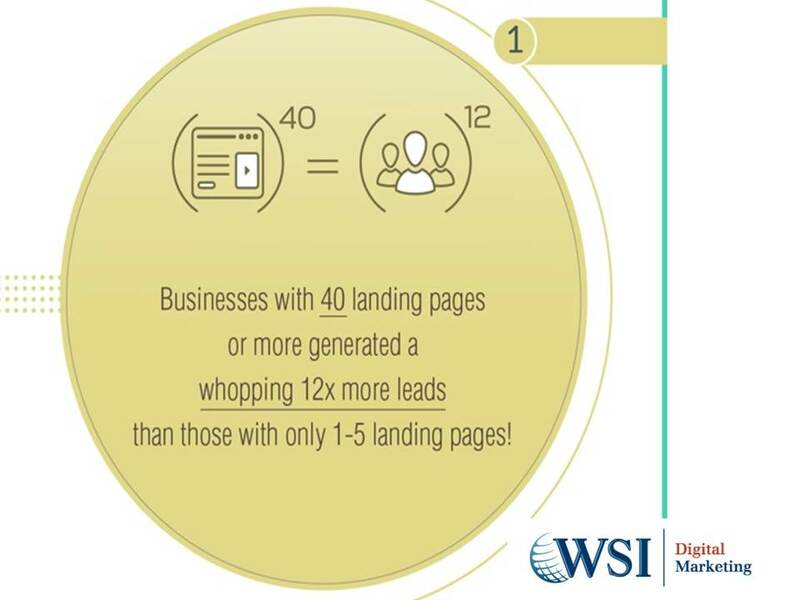 So with this in mind, we focused the newest WSI infographic on landing pages, A/B testing and the power of turning website visitors into customers. Need help with conversion strategies or professional landing pages? Contact WSI Sweden at info@wsiwebanalys.se or fill in the form. Book a free consultant meeting and we will take your digital marketing to the next level.